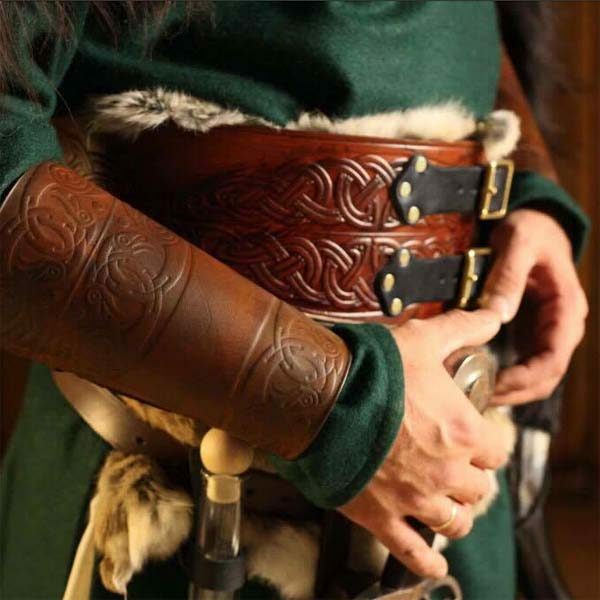 The LARP Leather Hero Belt is one of the most unique designs to be offered by Black Raven Armoury , these have been professionally dyed and built for you by ourselves. Created & designed by Alex Agricola, the it is made of premium grade top grain 3.2-3.5 mm Veg Tanned leather. 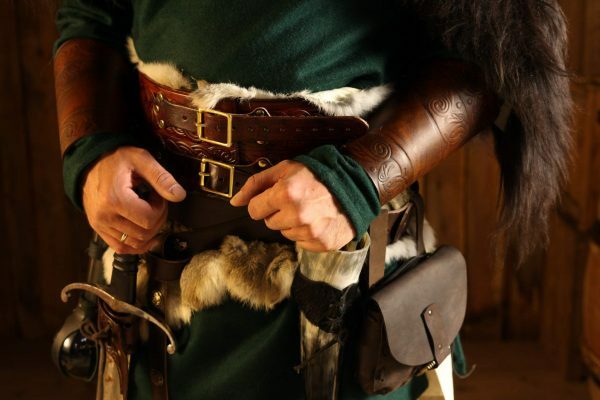 The Belts will fit up to a 52 Inch (132 cm) Waist and are in 5 inch (12.5cm) wide options. 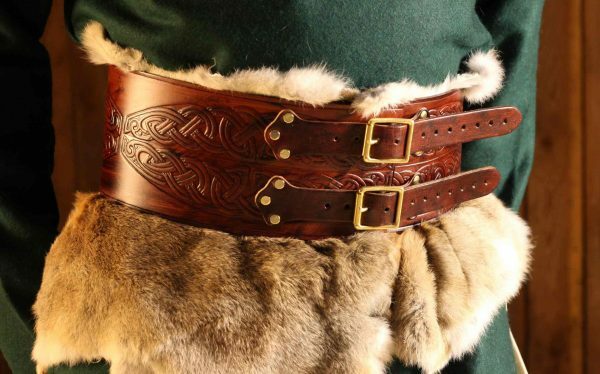 This belt is 100% suitable for a variety of uses, be it Larp event, theatre stage or big screen. Ideal as a base design for personalisation, using the perfect thickness and quality of leather to carve and tool any design. If you purchase this undyed then you will need to dye and seal the surface, otherwise everything has been done for you. 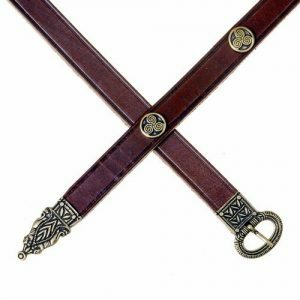 Leather finish shown using ?Black Raven Armoury ? Armourkote? Availability IN STOCK . Please account for time zone differences and locations, if you place an order on a Friday afternoon it will not be processed until Monday morning UK time. Absolutely incredible piece with superior quality that is only topped by stellar customer service. Karen reached out to me personally to let me know of a potential delay with my order. I was totally fine with it, but she reached out again to let me know that Alex himself had fixed the issue, personally staining the piece I had ordered to ship out on time. 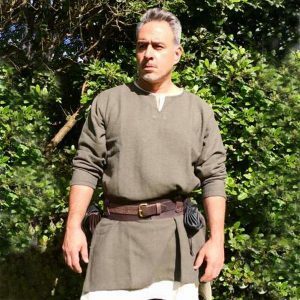 Incredible staff and the product I received (right on time for my local Renaissance Festival!) is simply stunning. If I could give this 100 stars, I would. 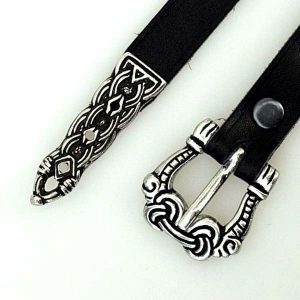 Beatiful belt, easily fastened and comfortable to wear. Its height can make sitting down a bit trickier though. 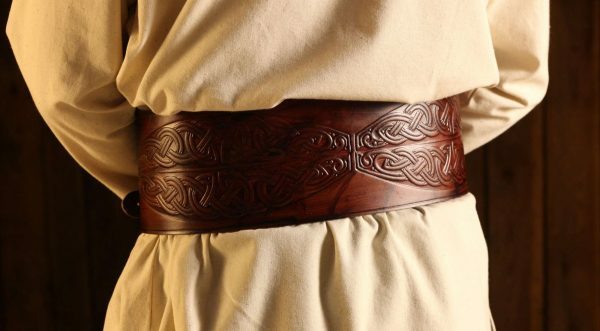 I have eyed up this belt far too much in the past and finally said f it and boy was a glad I had! Looks far heftier than what it actually is and despite looking stiff it is extremely comfortable. Nothing to complain about , excellent work and already ordered more!